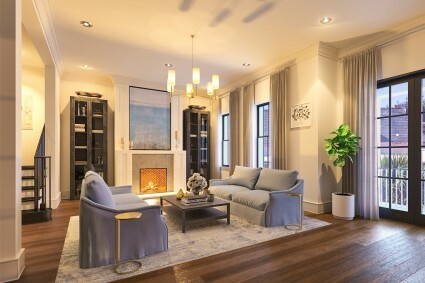 Charleston is known for historic beauty and centuries old architecture, but we are excited to introduce Charleston’s newest condominium development right in the heart of the city. Old world charm meets modern luxury with this impressive project. Only two flats remain in Historic Charleston’s new distinctive address, Harleston Gates. 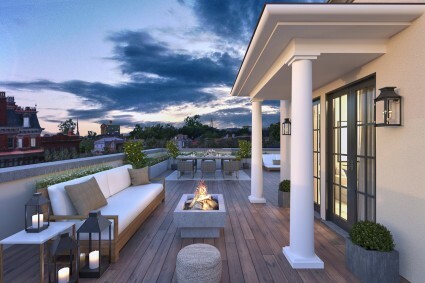 These boutique residences showcase the very best of elegant contemporary living in a classically inspired framework. Flats have private balconies and luxury appointments. Construction is underway and moving along quickly. An exclusive partnership with Wentworth Mansion offers owners the option for concierge access, preferred reservations at Circa 1886, special inn, spa and restaurant pricing, in-home room service, housekeeping services, and even provisioning services. Harleston Gates also offers a gated entry with covered garage parking; two spaces per residence, electric vehicle charging stations, bicycle storage, a dog-washing station, and their very own doorman. Created by the Lowcountry’s finest luxury development company, Bennett-Hofford Construction, designed by prominent architectural firm, Evans & Schmidt, and featuring renowned landscape architect, Sheila Wertimer, Harleston Gates offers an unparalleled opportunity to experience the essence of Charleston living. Located in Harleston Village, a vibrant and tranquil neighborhood, it is favorably situated a few blocks west of the nationally-acclaimed King Street shopping and restaurant districts. Construction is well underway, with estimated completion in Spring 2020. For more information on the last two available flats, contact listing agents Kristin Walker or Beth Huntley. This “one of a find” opportunity does not come on the market very often! 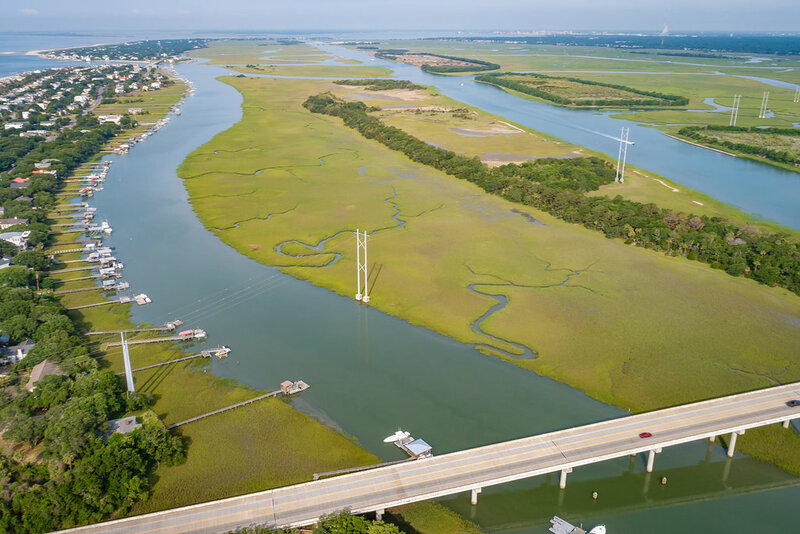 Located on the north side of the Isle of Palms and between the ICW (Intracoastal Waterway) and Hamlin Creek, 0 Little Goat Island is a developer’s dream! The seller has no information regarding build-ability but tax records show 24.67 acres of high ground land. The island is only accessible by boat and is an incredible value for the price.